Mr. Ear, I am no blues maven but I do like the genre and probably have a few albums on you in this genre. As a Chicagoan, if you like this stuff, it would be a shame for you not to take advantage of the blues music going on in your ‘hood while some of the really good blues players are still around (though every year there seems to be fewer of them). You are onto something when you say that you might hear the difference between this bank and other blues bands if you heard more blues records. This band is pretty ferocious. A few of the players are still out there doing shows- though not Muddy, of course. As for the title, yes, the facile explanation was probably what Mr. Waters had in mind. However, I can’t resist putting this album into a little context: it came out in 1977. Blues that did not involve the most pretentious sort of “Clapton is God” soloing had mostly disappeared from the public conscience. Muddy came back with this tough, stripped down sound at the same time that punk was getting people to listen to simpler, louder stuff and the Stones had just come out with a pretty mediocre live album (“Love You Live”) that nonetheless featured a bunch of this sort of blues and was recorded at a small club. 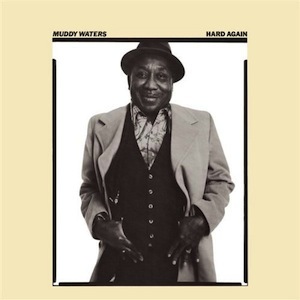 Plus, I think that Muddy’s performance in The Last Waltz that came out the next year also encouraged a lot of people to check him out and open themselves to traditional electric blues. In 1978 and 1979, George Thorogood and the Destroyers sold lots of albums, Alligator Records, Rounder Records and Tomato Records were coming into their own, putting out some good stuff and blues clubs were drawing new fans. Son House is Jack Black’s go-to blues artist but I think that Muddy’s late-70s comeback had a lot to do with keeping blues alive for long enough for Mr. Black and the Black Keys to have the chance to appreciate them.